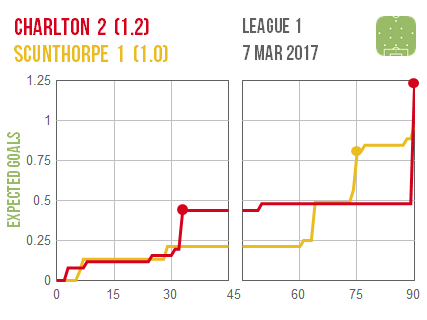 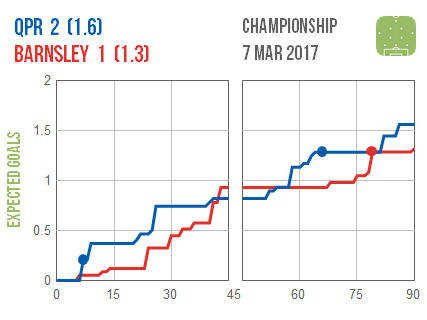 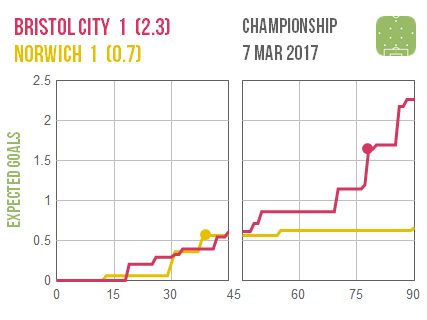 It looks like Bristol City did enough to earn their late point at home to Norwich but with Blackburn, Burton and Wigan also adding to their tallies the effect on their survival prospects may be minimal. 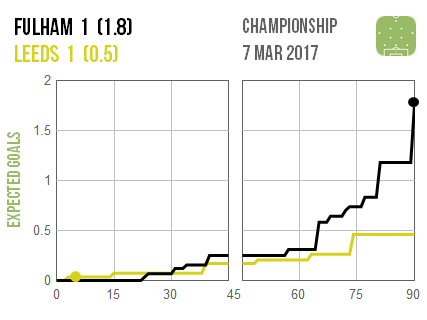 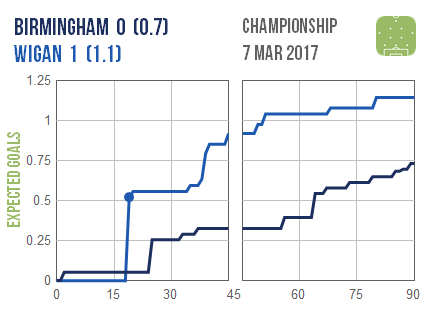 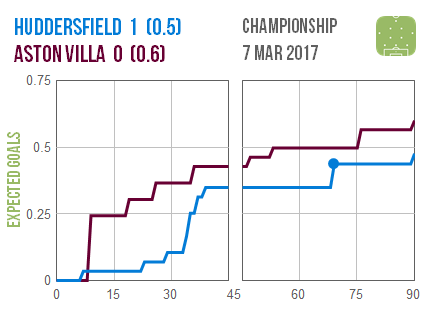 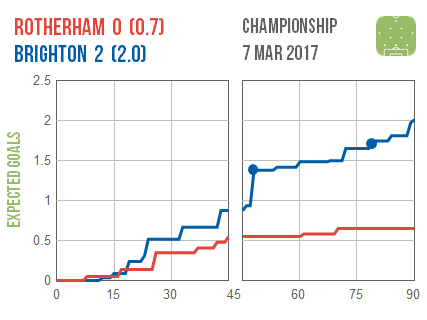 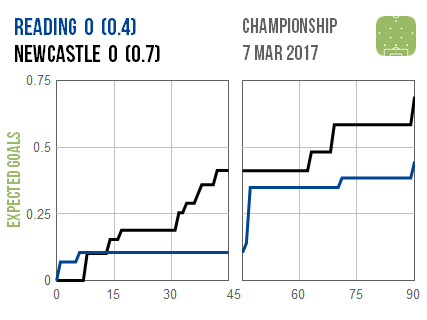 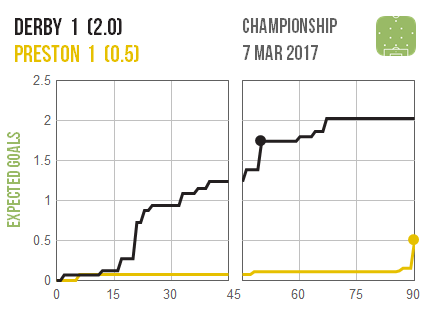 Fulham also look to have deserved their late equaliser while Preston can perhaps consider themselves fortunate to have done likewise. 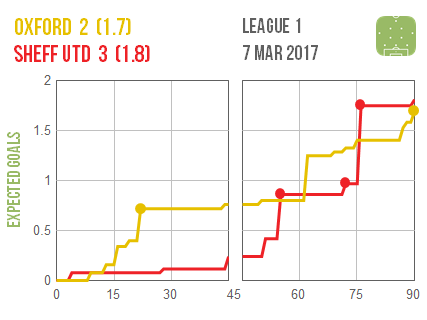 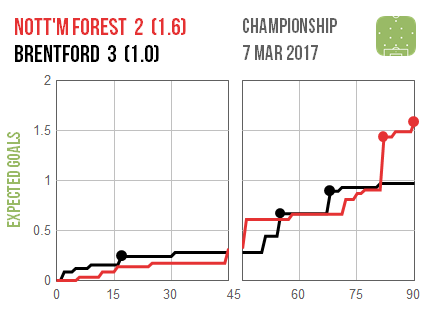 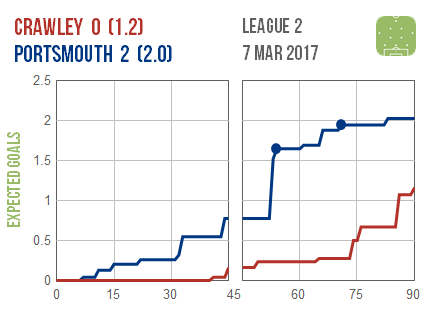 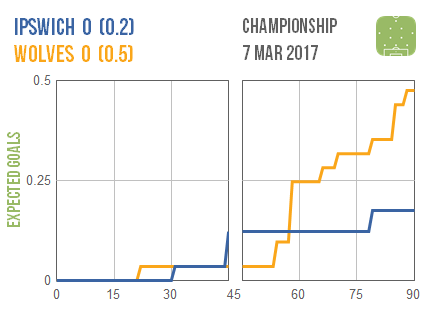 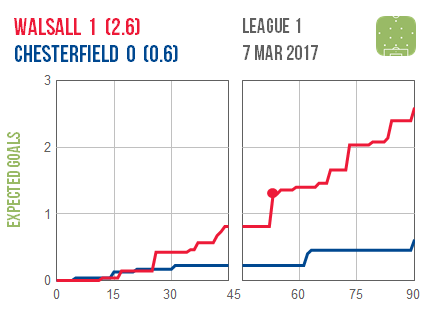 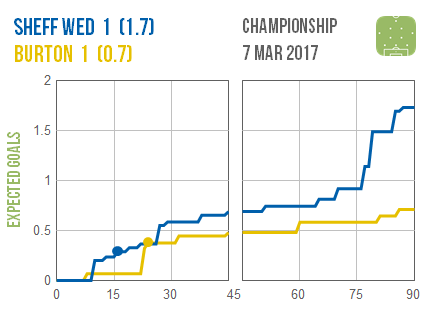 Walsall and Portsmouth both won convincingly but Sheffield United were made to work for their victory by an Oxford side whose performances have been impressive this season. 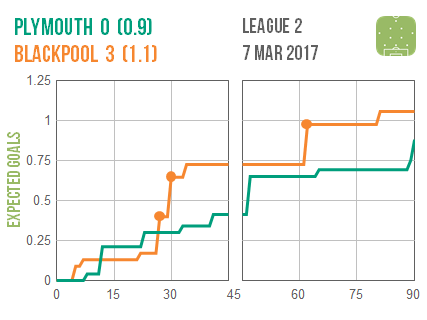 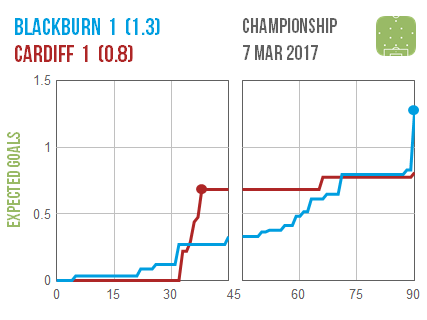 Blackpool are another team the model admires, although their win over Plymouth looks to have owed more to clinical finishing than dominance.